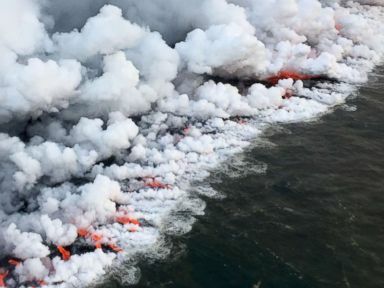 New drone footage gives a glimpse of the damage that parts of Hawaii's Big Island sustained in the wake of volcanic explosions in recent days. Smoke can be seen billowing off the lava as it creeps down roads and through wooded areas toward homes. Fires are visible with terrifying streams of brightness breaking through the surrounding areas of black. Destruction from Kilauea volcano's lava flow on Hawaii's Big Island is captured by drone, May 6, 2018. 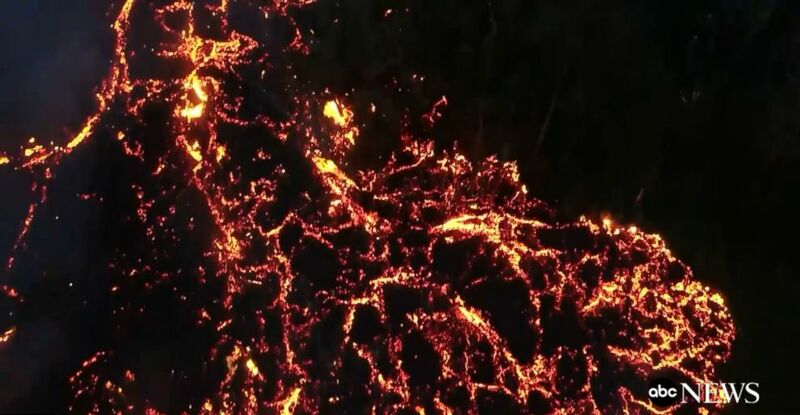 Drone captures destruction from Kilauea volcano's lava flow on Hawaii's Big Island, May 6, 2018. The volcanic activity is still underway, meaning that the damage is far from finished and the extent of the destruction remains in flux. As of Monday morning, Hawaii Civil Defense reported that a total of 31 structures were destroyed by the lava. 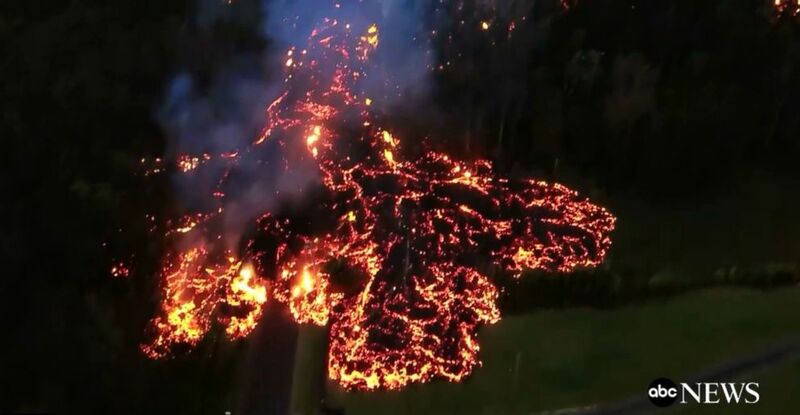 Destruction from Kilauea volcano's lava flow is captured by drone, May 6, 2018 in Hawaii. 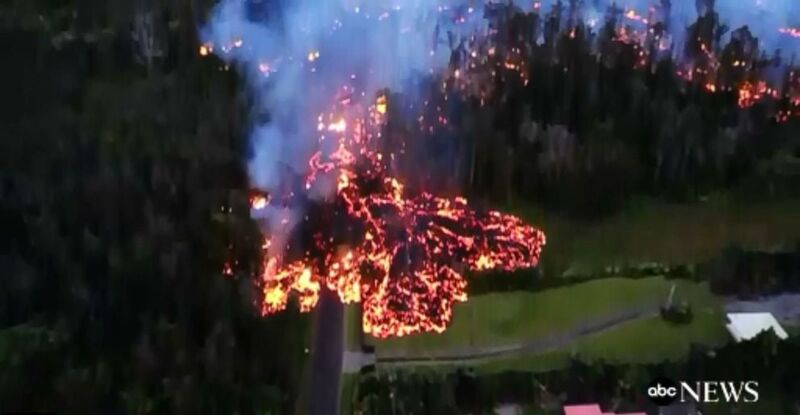 Drone captures destruction of Kilauea lava flow on Hawaii’s Big Island, May 6, 2018. In spite of that destruction, no injuries have been reported and 1,800 residents have been evacuated from areas near the volcano. A major factor in the spread of the damage is the increasing number of fissures, where the land is splitting open and exposing lava underneath and creating more spots where the lava begins to spew up from beneath the surface. 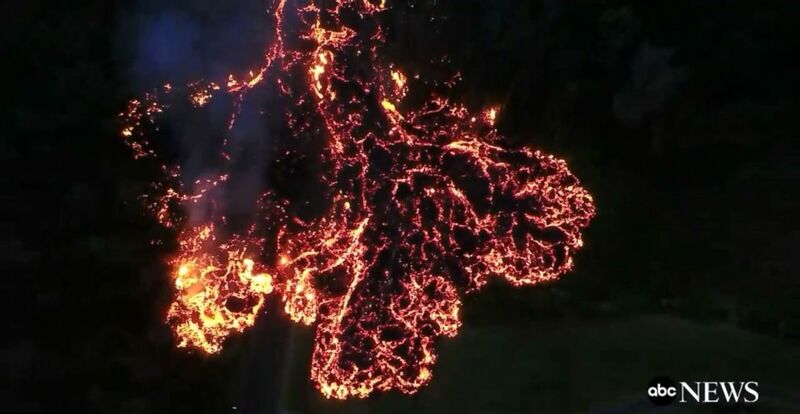 Destruction from Kilauea volcano lava's flow on Hawaii's Big Island is captured by drone, May 6, 2018. Another danger facing residents is the toxic sulfur dioxide gas that is being emitted by the lava fountains. The gas is dangerous for people to breath in and is being emitted into the atmosphere and creating acid rain which authorities are telling people to wash off as soon as possible because it can skin irritations. 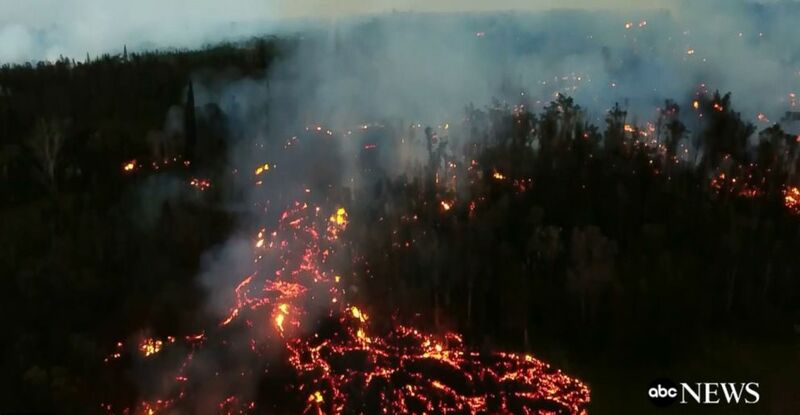 Drone footage shows destruction on Hawaii's Big Island from Kilauea lava flow, May 6, 2018. Officials warn that the end is not near.